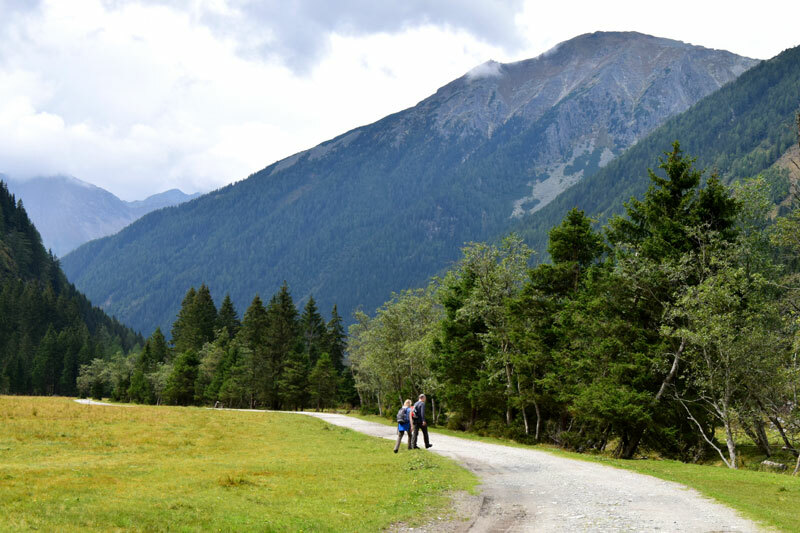 The 8-9 km hike in Seebachtal, Carinthia is one of the easiest, but also among the most beautiful nature experiences we have had in the Alps. Perfect for families with small children and those who are not as steady on their feet as they used to. 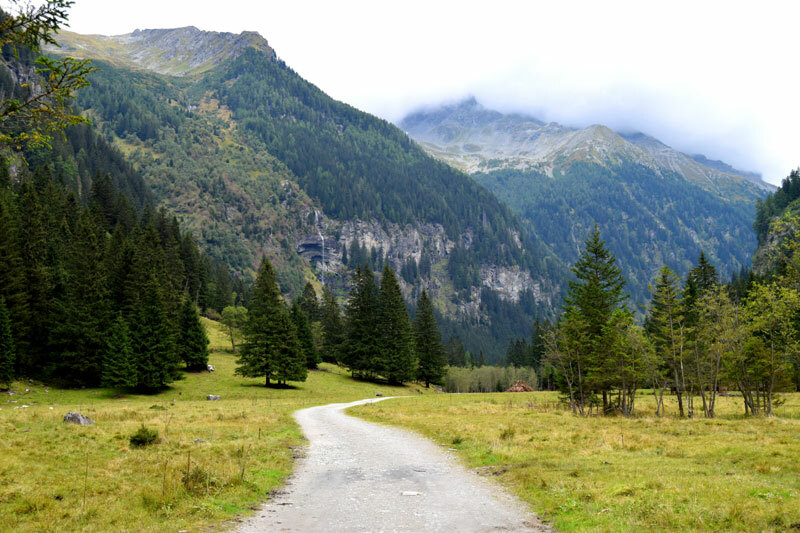 Wandering in the Alps is not restricted to narrow and steep trails in the mountains. 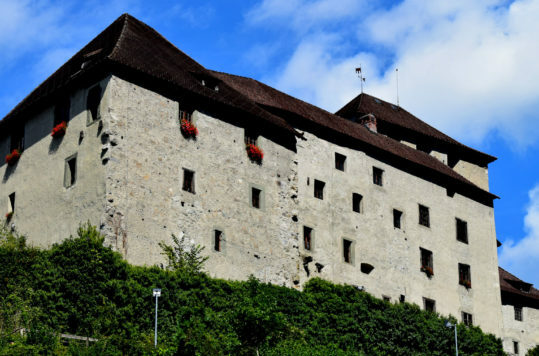 There are also plenty of great tours for those who simply want a leisurely hike, for those who no longer are too steady on their feet or if you have small children. 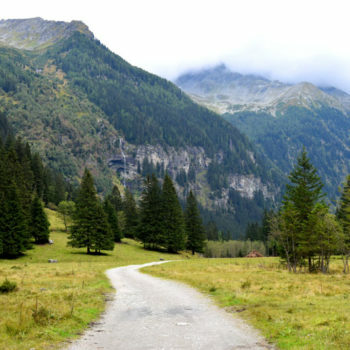 Moreover, even though the trip mostly follows a small gravel road in relatively flat terrain, it does not mean that the surrounding nature is unspectacular. 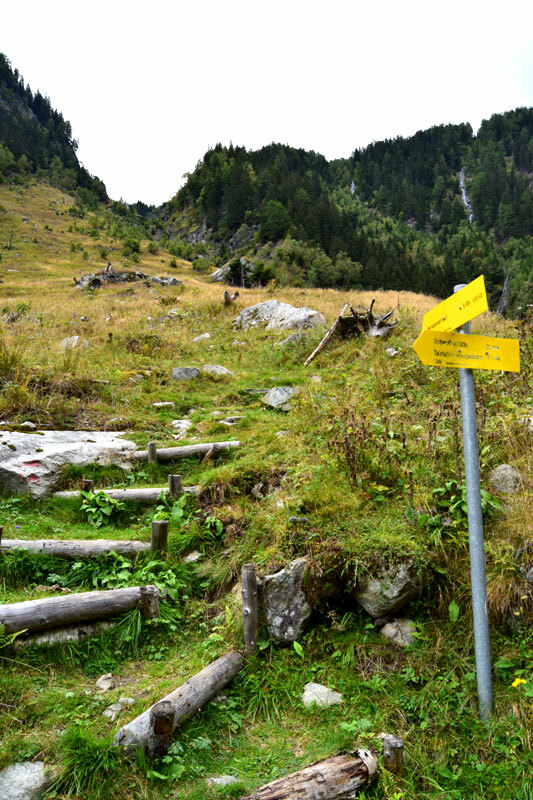 We found a lovely, easy-going hiking trail furthest in a scenic valley in northern Carinthia. 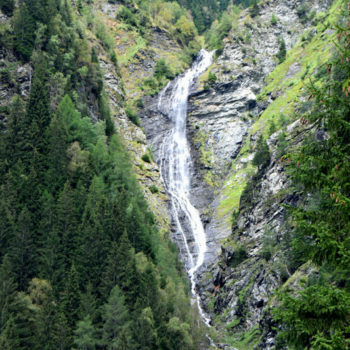 The valley located at 1270 metres above sea level is rather narrow and becomes narrower the farther in you venture. 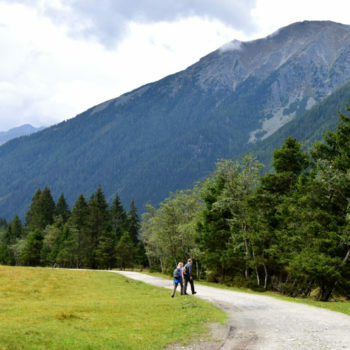 Seebachtal, surrounded by mountains rising to 3300 meters, offers stunning views to hikers. 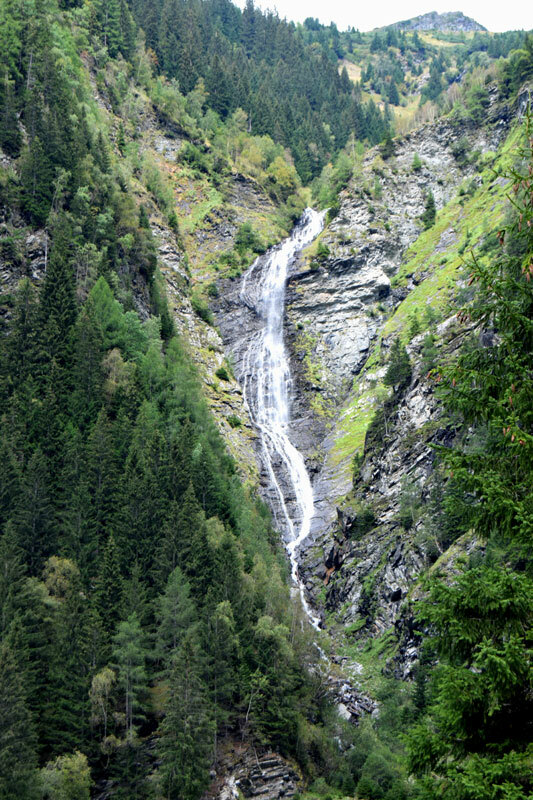 During the nearly eight-kilometre-long trip we were greeted by big and small waterfalls. Some of them easy to reach if you want a closer look. Along the route, you find benches where you can sit down and take some time to enjoy the landscape. 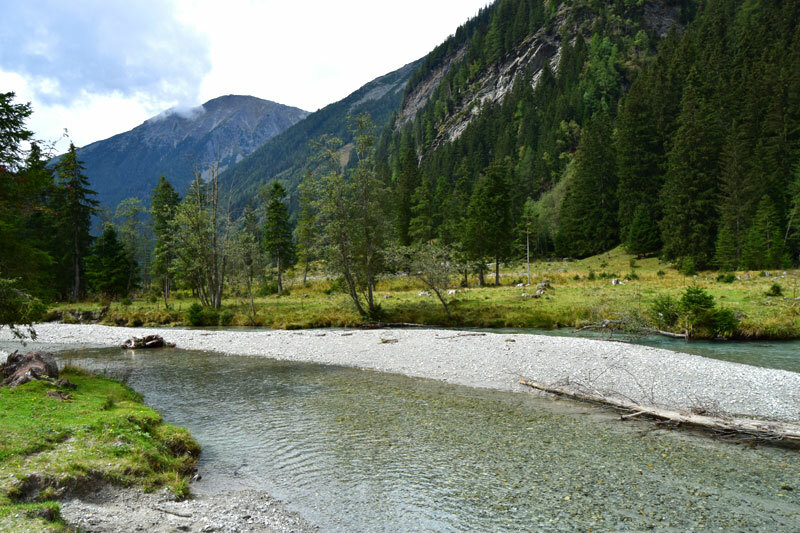 Part of the route takes you along the river, where you can refresh yourself with crystal clear and cold water on hot summer days. Therefore, have a towel in the bag so you can put your feet in the cold clear water. 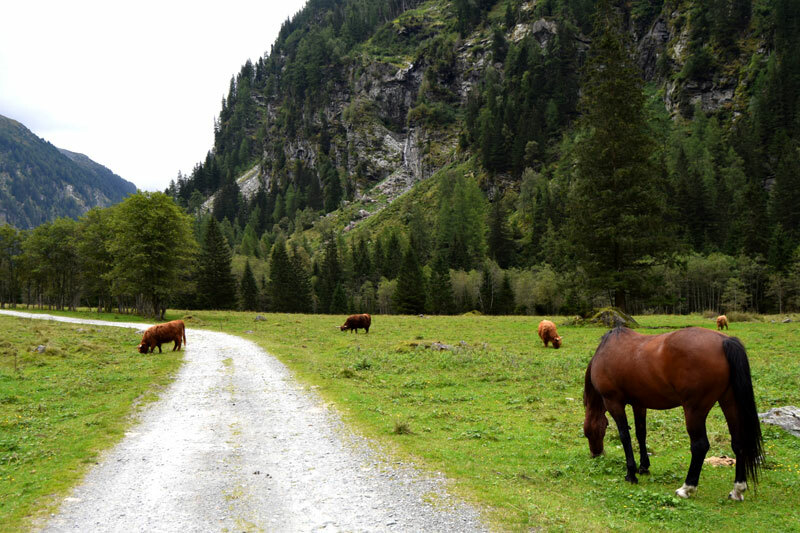 The trail passes through pastures used by the local farmers. 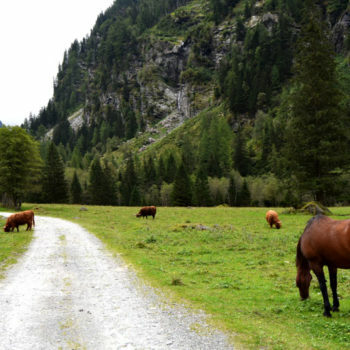 Thus, when we went through the portal and cattle guard at Lake Stappitz we wandered in the company of grazing cows, horses and sheep. If you are lucky you will also see some wildlife in the valley. 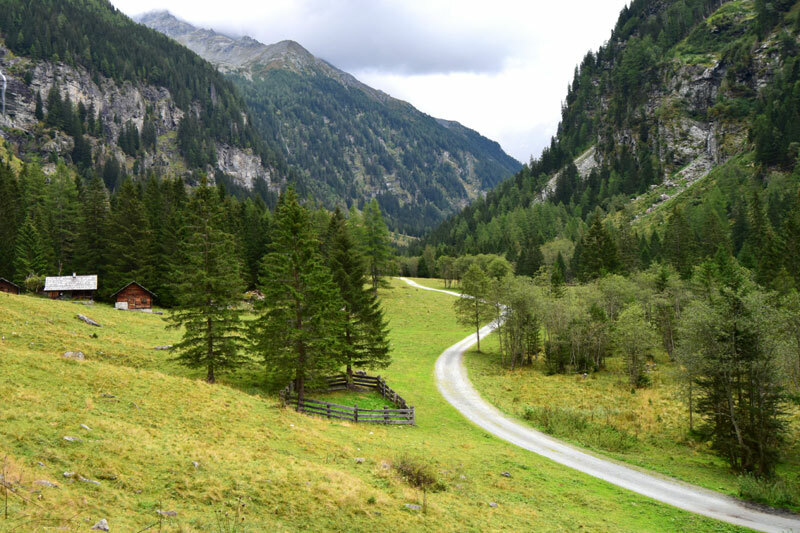 Seebachtal is not only the oldest wildlife reserve in the Hohe Tauern National Park, but also a paradise for those who want to see wildlife. Stappitzer See (lake) at the beginning of the valley, is a unique highlands steppe lake and a resting place for migratory birds. Also keep your eyes on the sky. There are several eagles in the area, and if you are lucky you can see these magnificent birds as they circulate over the valley looking for prey. 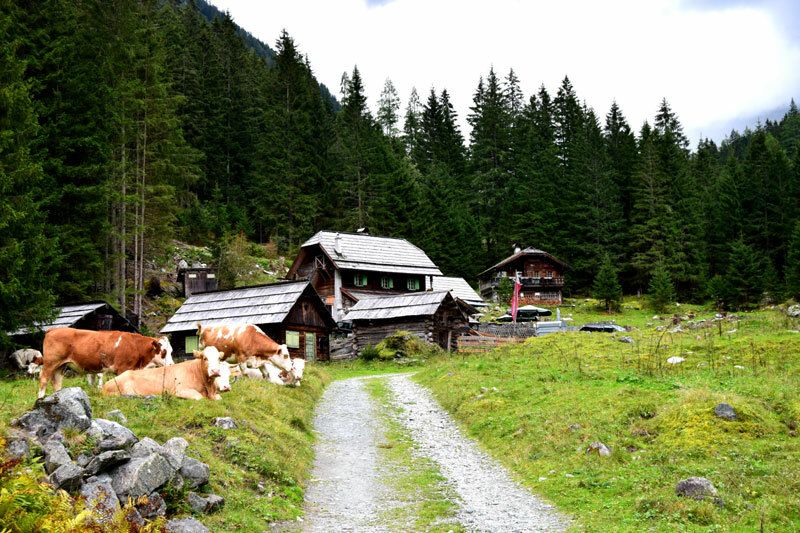 From the parking lot by the Ankogelbahn cable car station and to Schwussnerhütte (farm cottage) it’s approx. 3.9 kilometres. Moreover, it is not possible to get lost if you just follow the gravel road all the way. You can either get something to eat and drink at the mountain restaurant at the end of the road or bring your own. We chose to have a small picnic along the way, where you find benches next to the road, to enjoy nature. 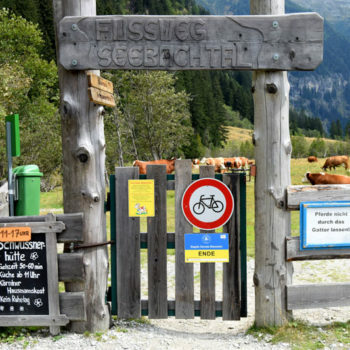 The Schwussnerhütte serves food and drink, if you didn’t bring anything. There are signposts by the car park and the gate with the opening hours. 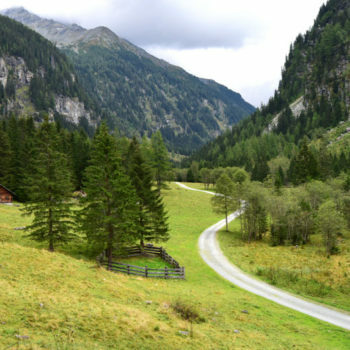 You can also take a slightly longer route and get away from the gravel road by going on the Naturlehrweg Seebachtal (Nature learning trail). 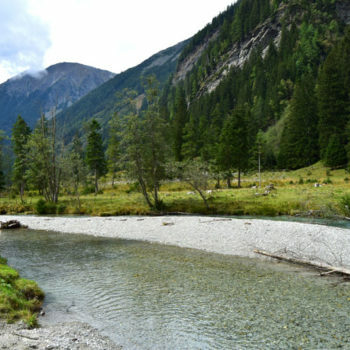 It follows a marked trail on the other side of the river (south side) which is a bit rougher and follows the terrain, but not difficult to walk. Along the they trail there are info plaquettes explaining the nature around you. Take for example the nature trail inwards to the cottage and follow the gravel road back to the parking lot. 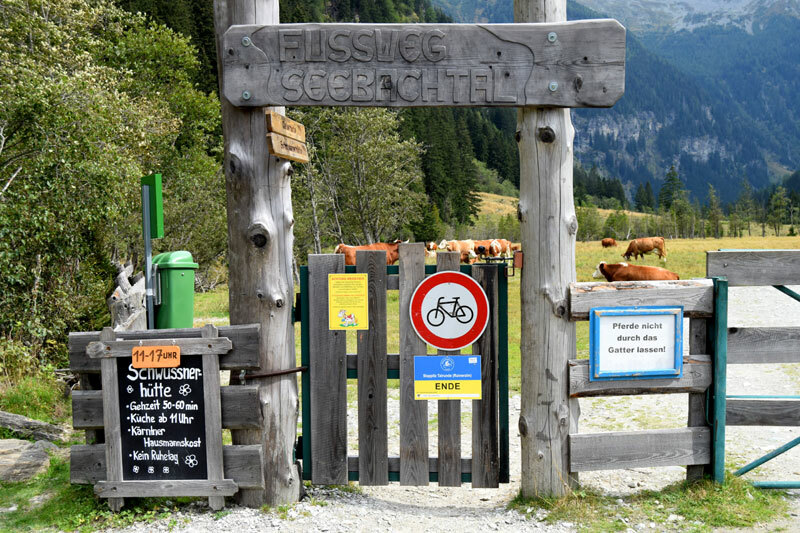 Although the gravel road ends shortly beyond the Schwussnerhütte, there are also opportunities for those who want to continue and go up in the mountains. 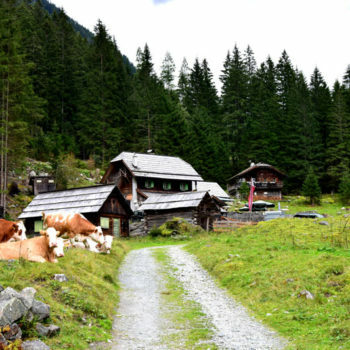 For those looking for a longer long trip up into the high mountains, a trail leads to Hannoverhaus, which is found at 2566 meters above sea level. 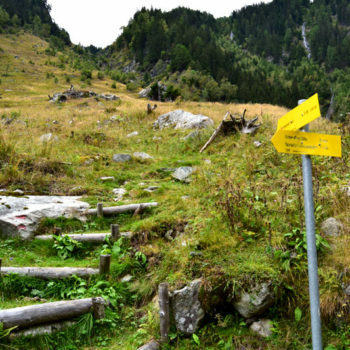 This is a trip for advanced hikers and has an incline of almost 1000 meters in the first 2.7 kilometres. There is an easier way up to Hannoverhaus, with the Angelkogelbahn cable car, which takes you there in two stages. The cable car station is located at the start of Seebachtal. 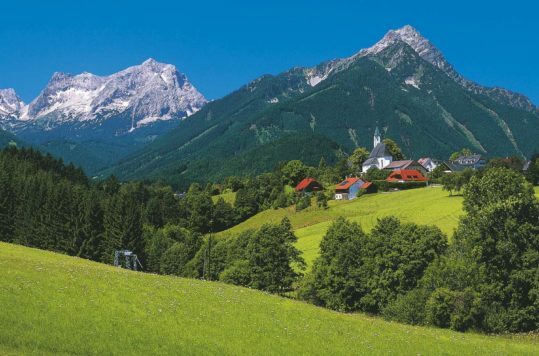 The lovely small village with about 450 inhabitants is located a few kilometres before reaching Seebachtal and is also worth a stop. Here you find plenty of different accommodation, eateries, shops and banks. Mallnitz is also a popular starting point for those who looking for longer and more difficult hikes, and heading for mountain peaks such as Ankogel 3252 m and Säuleck 3086 m. Great skiing opportunities the Angelkogelbahn cable car is just a few kilometres from Mallnitz. If you want to drop either often heavy traffic on the Tauern Autobahn (A10) or long detours (188 km versus 147 km), the Autoschleuse Tauernbahn is a gem. 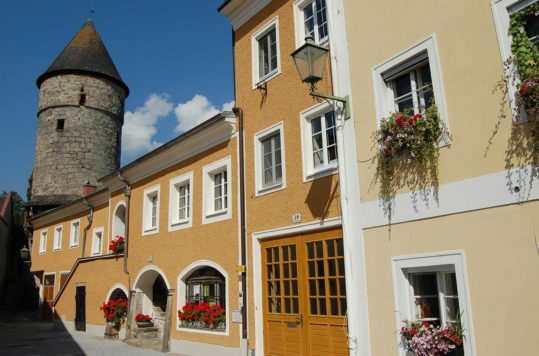 Travel quickly and comfortably by train from Mallnitz, Carinthia through the Alps to Bad Gastein, Salzburg in just 12 minutes for € 17 (car + passengers). The train travels the 8.3 km long tunnel once every hour. You drive your own car onboard (just like on a ferry) and seat yourself in the passenger car. We tested this on our way north and had a nice trip up to Salzburg via Bad Gastein and got lovely trip through the Pongau region as well.